Former Defense Minister says Hamas should have paid a price for the kite terrorism a long time ago. Former Defense Minister Moshe Ya'alon said on Thursday that the IDF is operating properly along the northern border, but the situation on the Gaza border is entirely different. "There are things that are being done well. The policy vis-à-vis Syria and the situation developing there is conducted properly. In the south I would expect that we would not have been complacent for three months now that our fields are burning. We should have exacted a price from Hamas long ago," Ya'alon said in an interview on Kol Barama radio. He noted that there are many ways to ensure Hamas pays for the ongoing kite and balloon terrorism. "They too have crops, and they should have had to pay a price long ago for what we are going through. I think that this is already a phenomenon that could lead us to war. 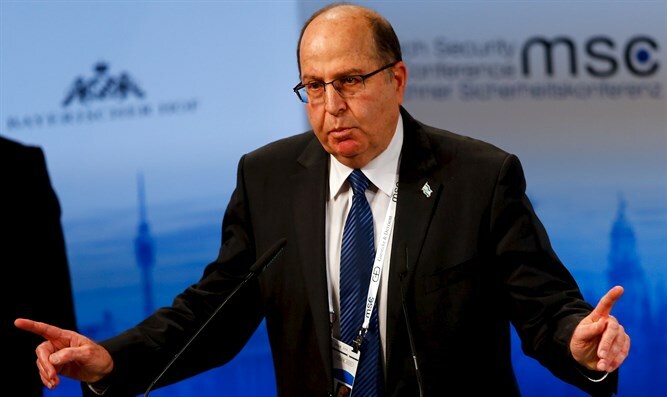 Containment and avoidance are not in our favor in this matter,” warned Ya’alon. Ya'alon also discussed his political plans in the interview. The former Defense Minister left the Likud after his relations with Prime Minister Binyamin Netanyahu soured and later announced that he intends to form a new party and to run for Prime Minister in the next elections. "I am waiting to find out when the elections will take place and then I will announce my political move,” he said on Thursday. “I decided to establish an independent political framework, but I call for creating a partnership between parties and to create a significant bloc and force that will be able to receive the mandate to lead the state."